You know what’s worse than having chapped lips? Having chapped lips during the cold season! Wind burn on chapped lips is nothing short of torture! Contrary to what many believe, wind burn is not caused by cold wind but by the sun’s harmful rays. Oh yes, lips do get sunburnt too. During the cold season when the sun isn’t shining as brightly, we mistakenly think that we are safe from the burning rays of the sun. Thus we attribute chapped lips to the cold wind, thus, the term “windburn”. This is why our lips need extra TLC during this season. They need to be protected from the sun and from the drying effect of cool wind. 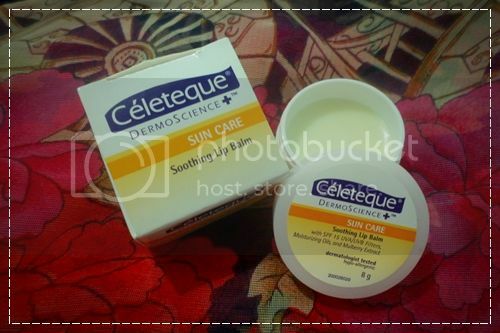 Well, Celeteque DermoScience™ Sun Care Soothing Lip Balm with SPF 15 has got us covered! It not only has moisturizing oils such as Sweet Almond Oil and Castor Seed Oil that reduce dryness, it also has double sunscreen protection against UVA/UVB rays. Those with darkened lips will love the added Mulberry Extract that helps lighten lips. The lip balm feels a bit like petroleum jelly with a light fragrant scent. 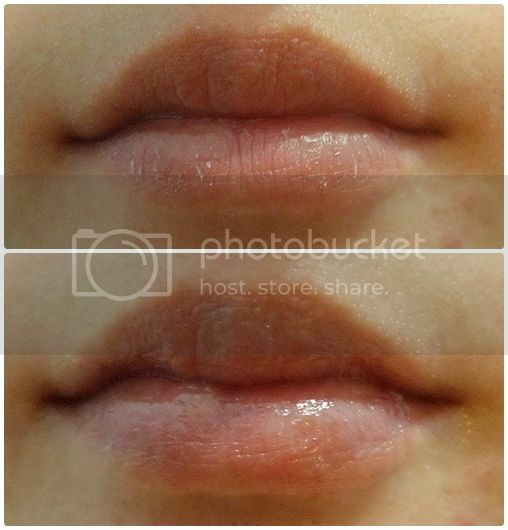 It’s rich and moisturizes your lips immediately. What I like about this lip balm is that it’s small enough to fit my purse – even a small wristlet. It also cost only P190 which is right within the budget of frugal moms like me. It’s safe enough to apply as often as needed. I wish though that it came in strawberry or cherry flavour also and perhaps a hint of color. If there are no underlying health conditions that are causing your chapped lips, you can easily address your problem by using the Sun Care Soothing Lip Balm daily. Always have one with you wherever you go so you can conveniently re-apply it throughout the day. Of course, it would also help keep dry lips in check if you drink plenty of water. And, please, stop licking your lips habitually! Licking them just worsens dryness. Since it’ll be summer in just a few months, you might also want to check out the other products in the Celeteque Dermoscience™ Sun Care Line. Aside from the Soothing Lip Balm with SPF15, included in this line of products are the Facial Moisturizer with SPF15, Matte Moisturizer with SPF30, Face and Body Sun Defense Cream, Skin Relief After-sun Gel. They all have 2x sun screen protection against UVA and UVB.